Owning the Charmed Pie Shoppe and serving enchanted treats in the magical town of Havenwood, Georgia, seemed like a little slice of heaven for Ella Mae LeFaye. 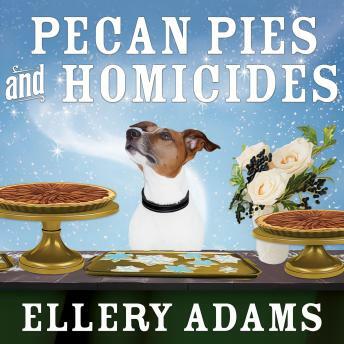 But now her hopes for both a lasting romance with Hugh Dylan and business success are starting to seem like pie in the sky, and Ella's left wondering: Where has the magic gone? When an enchanted grove is set ablaze, Ella realizes that she has more grave problems. With her magic waning, she's going to have to sleuth from scratch to stop an arsonist who has no respect for sacred ground-or human life.